You can now get ID’d for buying ice cream. 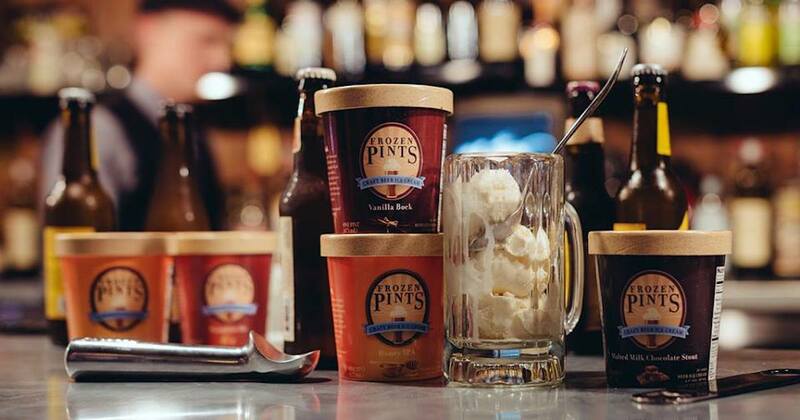 An Atlanta-based company, Frozen Pints, is now offering alcoholic ice cream that comes in a variety of craft beer flavours. Frozen Pints is an Atlanta-based company, that makes craft beer ice cream flavours. Ari Fleischer, the founder of Frozen Pints, came up with the idea for the dessert after a friend accidentally knocked over a beer near an ice-cream maker. Instead of throwing away the ruined ice cream, they (drunkenly) decided to eat it. Frozen Pints’ philosophy is very simple: it’s all about the beer. They believe that everything tastes better when it’s handcrafted. Frozen Pints only uses the the finest of craft beers and fresh local ingredients when making their ice cream. With a large variety of flavours, there is something for everyone. Some of their flavours include Honey IPA (2.4%), Malted Milk Chocolate Stout (2.1%), Brown Ale Chip (1.6%), Peach Lambic (1.0%), and more! Not interested in Craft Beer Ice Cream? Frozen Pints offers other tasty adult treats! Taste a hint of something beyond the cream and hops? It’s their passion for beer. Frozen Pints carefully crafts each flavor to maximize the potential of a brew and bring out its best attributes. Sometimes they pair it with complementary flavors, using the freshest ingredients they can find. But Frozen Pints will never mask the natural taste of the beer. It was their first love, after all. Frozen Pints is currently working hard to set up online orders so you can have your alcoholic tub o’ ice cream delivered right to your door! For more information about Frozen Pints and where to buy them, visit their official website. Unfortunately there is no Molson Canadian Facebook Contest or Giveaway for Free Beer – Sorry, eh! Tourism Calgary, the Alberta Small Brewers Association, and Banded Peaks’ Colin McLean had a meeting of the minds and created a printed Calgary craft beer map for your beer-finding pleasures! Plan your next beercation around the Penticton Beer Run.